New Delhi : The Pakistan Army on Tuesday alleged that the Indian Air Force has violated the the Line of Control (LoC) in Muzaffarabad sector. "Indian Air Force violated Line of Control Pakistan. Pakistan Air Force immediately scrambled. Indian aircraft went back," Major General Asif Ghafoor, Director General of Inter-Services Public Relations (ISPR), the media wing of the army, said in a tweet. 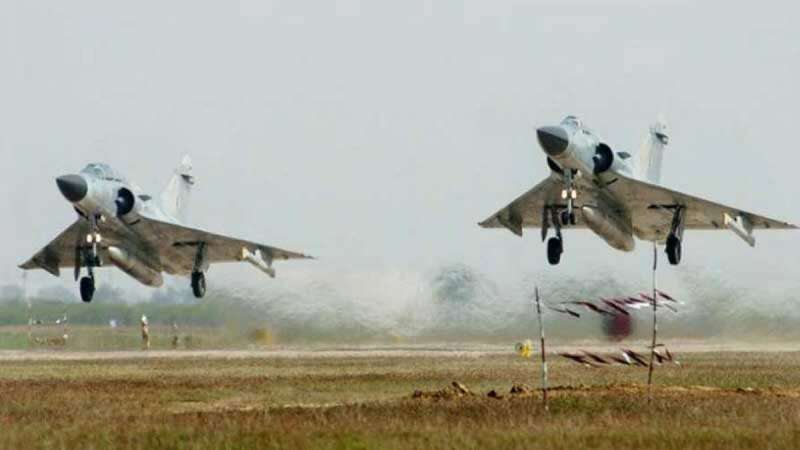 Now, it has been learned that the IAF carried out air strikes at the terror spots across the LoC; the action comes as a response to the February 14 suicide attack by Pakistan-based Jaish-e-Mohammad terror group that killed 40 CRPF soldiers in Jammu and Kashmir's Pulwama district. 1) Indian Air Force crossed into Balakot in Pakistan and "released a payload" after Pakistan scrambled its own jets. 2) Maj General Ghafoor tweeted immediately after the strike saying "facing timely and effective response from Pakistan Air Force", the Indian aircraft "released payload in haste while escaping which fell near Balakot. No casualties or damage." A report by CNN News 18 claimed that nearly 200-300 casualties have been done with the IAF strike. 4) The operation lasted for about 20 minutes. 5) The attack took place in Balakot, a town in the Khyber Pakhtunkhwa province in Pakistan, which is about 50 km (31 miles) from the Line of Control (LoC), which acts as a de facto border between the two countries that have fought three wars since their independence from British colonial rule in 1947. 6) India's defence ministry so far has said it has no information about Pakistan's claims. 7) The last time IAF crossed the LoC and used Mirage jets was during the 1971 war. 8) A news report claims that National Security Advisor Ajit Doval has also briefed the Prime Minister about the air strikes. 9) It has been learned that the drones were also used during the air strike operation across LoC. 10) Karachi-based newspaper Dawn has reported that Pakistani Foreign Minister Shah Mehmood Qureshi has summoned an emergency meeting to review the situation after Indian air force intruded Pakistan airspace.